The topic of cyberwarfare is a pretty hot topic (pun intended). 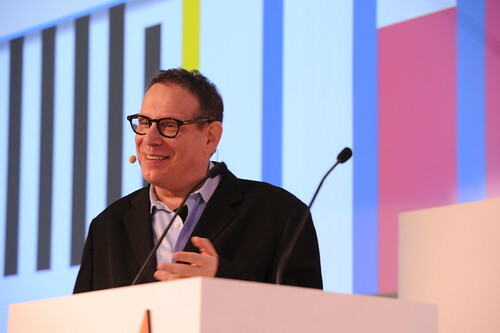 At DLD13 Dan Dubno from BlowingThingsUp introduces it. 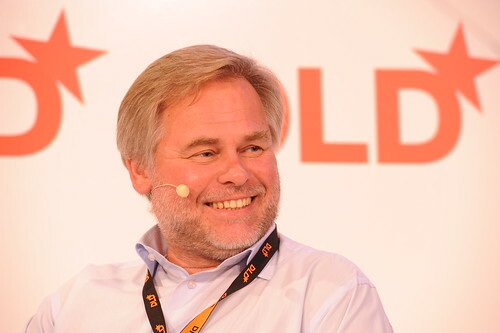 The speakers are Eugene Kaspersky (Kaspersky Lab) and Mikko Hypponen (F-Secure Corporation). Dubno begins by saying that this is the moment to be discussing cyber security. To emphasise this point he shows a video news footage snippets mentioning cyber crime. For several minutes, the words "this was a cyber attack" echo through the room again and again. His Lab is Russia's Internet security expert. Perhaps even the global Internet security expert. "The days when my experts discover malware ... are the most exciting in my life," Kaspersky says, leaving little doubt that this is a man who believes in his job. He is also a man who is aware of just how quickly the world has changed. Kaspersky can still remember a time without computers. "How many computers do you now have in your pocket? How many do you have in your car?" Kaspersky asks provokingly. His point is that every system with code is vulnerable to a cyber attack. Currently even certain prisons are run by computers. In theory this means a prisoner with a smartphone could unlock his own cell. "It is just a question of time when we have the next incident. So my question is, are we ready for that?" Kaspersky asks. His own view is that we are not. Next Dubno briefly introduces Mikko Hypponen. The chief research officer of the Finnish company F-Secure starts by summarising his experience catching cyber criminals over the last 20 years. “When we started the enemy was very simple,” Hypponen says leaning back in his chair. Back then 'the enemy' were mainly curious teenagers, or "happy hackers" as Hypponen calls them. "Today these happy hackers have disappeared." Instead there are criminals with motives. Some try to make money; others try to hack governments; others still have a message to disseminate. “What I’m trying to do is put some faces on these nameless threats,” says Hypponen. His is not an easy task: the richer these criminals become (through online crime), the more complex and sophisticated their operations. Red October and Stuxnet are two recent cyber attacks – or cyber espionage – which are discussed a little further. The worm Stuxnet was developed and used by the US government. Neither speaker has a clear idea where the former originates from. "Actually attribution is one of the biggest problems with cyber attacks. 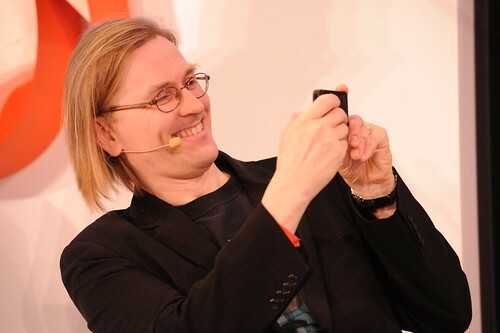 And one of the biggest strengths," Hypponen says while Kaspersky nods emphatically. "Lack of attribution means it's very easy to leave a trail of false flags," Hypponen continues – and Kaspersky points at his fellow speaker in a 'yes, exactly!' gesture. "But is there not a time when cyber attacks may not be worst alternative? I mean, they are certainly cheaper than military attacks?" Dubno asks. Kaspersky agrees that of course a cyber attack is cheaper and also cleaner, but that alone does not make it a good thing. "It is still a crime." Considering whether cyber weapons will be involved in the next war, both Hypponen and Kaspersky agree that if that war were between two developed countries, it is highly likely such weapons would be involved. "We all hope we won’t see war anymore and all know that we will," says Hypponen. Cyber weapons and traditional weapons are extremely different. Traditional weapons belonged to armies. Yet anyone can use and modify the cyber realm, meaning those weapons can be turned back against their creators. Hypponen believes a war with cyber weapons "will happen in our lifetime." "Because it is so easy!" Kaspersky agrees. "There could even be a cyber war between two groups of football fans!" "I want to conclude by letting you conclude," Dubno brings the session to a close. "So if people in this audience take one thing away, what should that be?" Kaspersky speaks first, saying that he believes it is high time we understand the world we live in has fundamentally shifted. "We are like 'Alice in Wonderland', looking around saying, 'oh, everything is so beautiful' – but there is so much danger too. This is an opinion from man who is paranoid from working in IT for 20 years, but I am optimistic at same time. I believe we will survive." Hypponen says that we should be putting more pressure on government to cooperate to fight cyber crime. "We should not expect the same coopertion when it comes to fighting espionage. Because they are doing that themselves." Even in Germany the government can infect your computer if you are suspected of a crime. "We are in the middle of cyber arms race," says Hypponen, who believes governmental activity in the scene is the biggest recent change. "And I think we are only seeing the beginning." As the interesting – even though perhaps not as polemic talk as some may have expected finishes – Dubno thanks his guest one last time. "I'm don't know if I’m more scared than I was before," Dubno vocalises what many in the audience are likely to be wondering. "Probably a little."